This very dark Chaos example is reminiscent of certain Christmas Mountain locality animals that were produced in the 1990s. 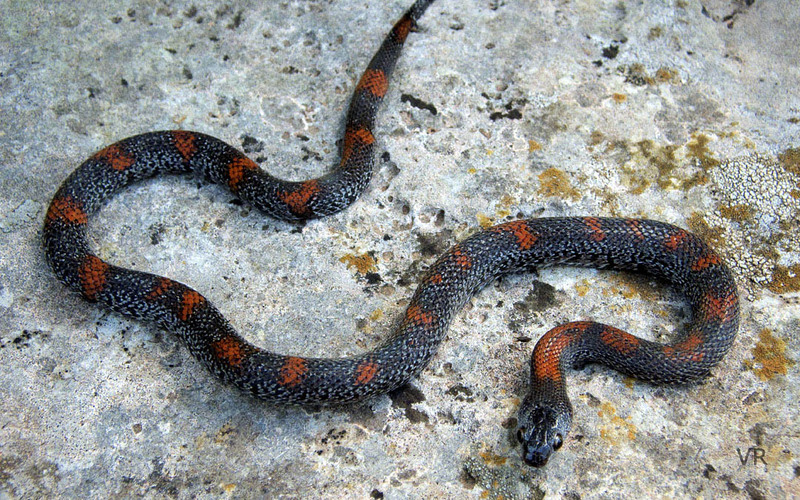 Though still a hatchling, this specimen appears as an essentially black snake with deep, lipstick-red/orange, irregularly applied from head to tail. It's hard to imagine the orange further intensifying but it usually does in Western locality alterna. The Chaos birthmark is difficult to detect on these very dark specimens.